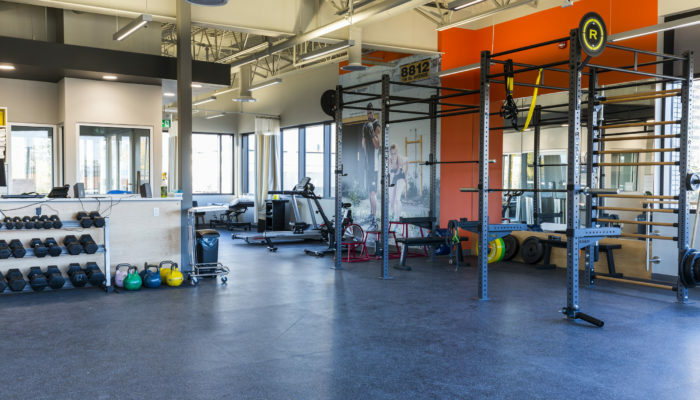 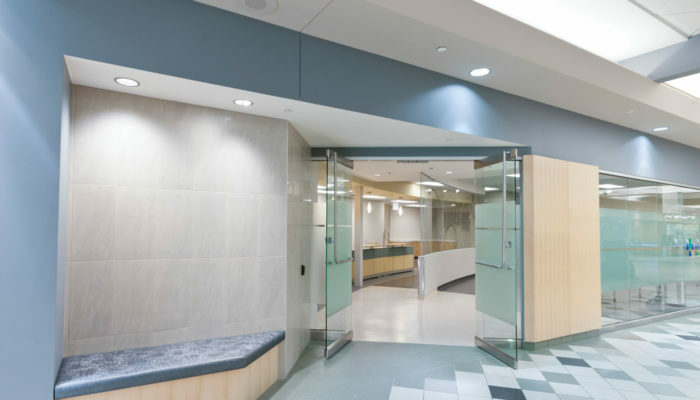 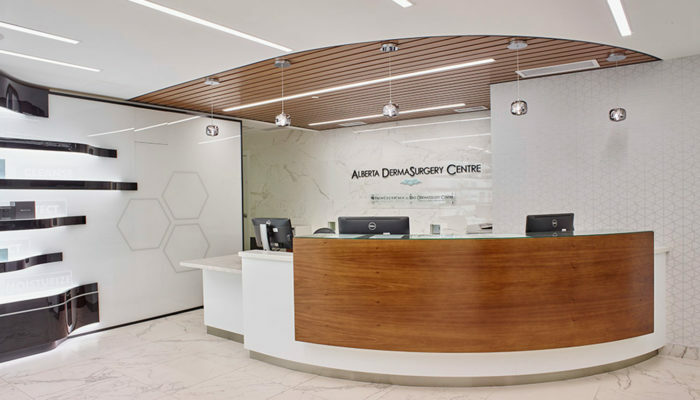 Magrath Medical Clinic : Wolski Design Group Ltd.
With the advent of electronic medical records, technology is now a requirement in exam rooms. 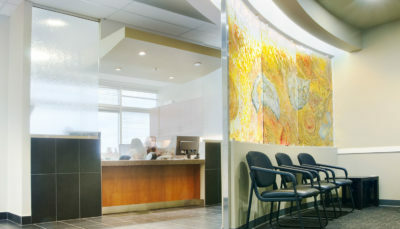 To facilitate the tech transition at this clinic, custom millwork helps to condense the computer and printer into a small space. 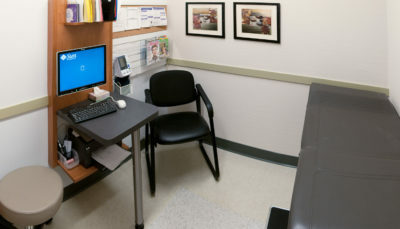 Locating the computer and doctor’s stool just inside the door improves efficiency and staff safety. 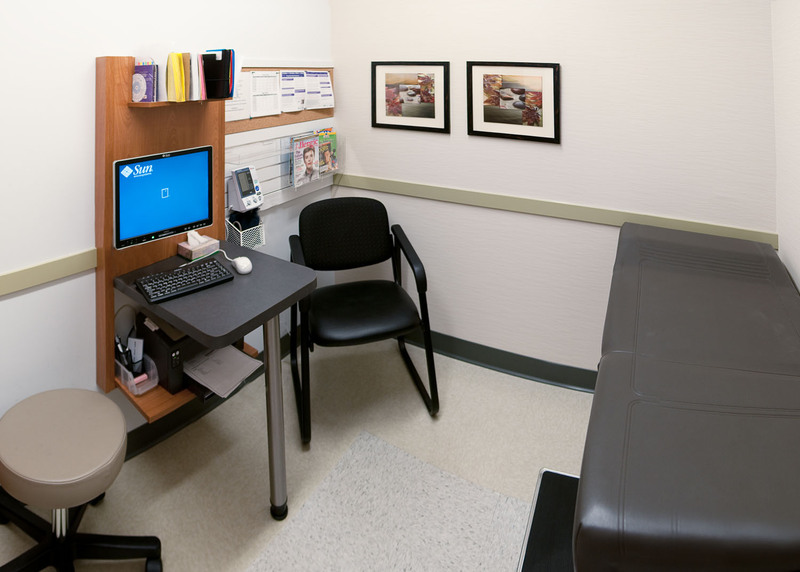 Both the patient and the doctor can easily view the monitor, allowing proposed treatment plans to be more of a collaborative process. 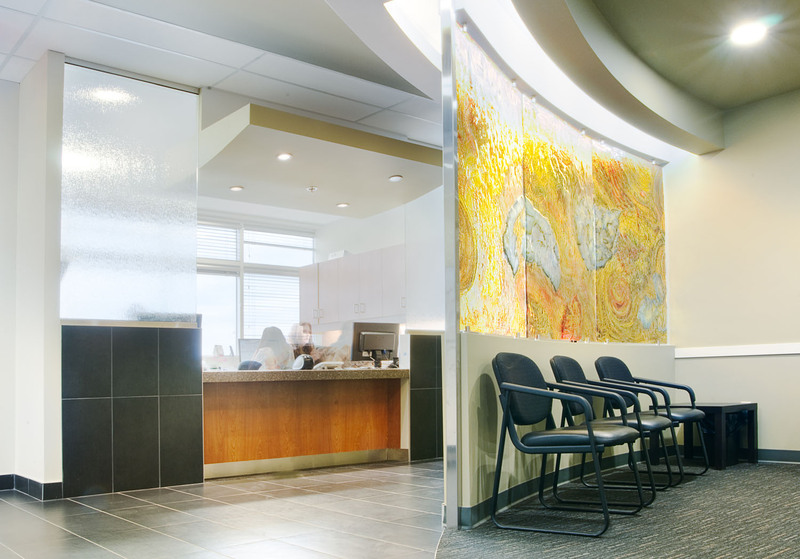 Artistic glass panels in the reception area and the MOA office allow natural light to flow into the inner spaces, while maintaining privacy. 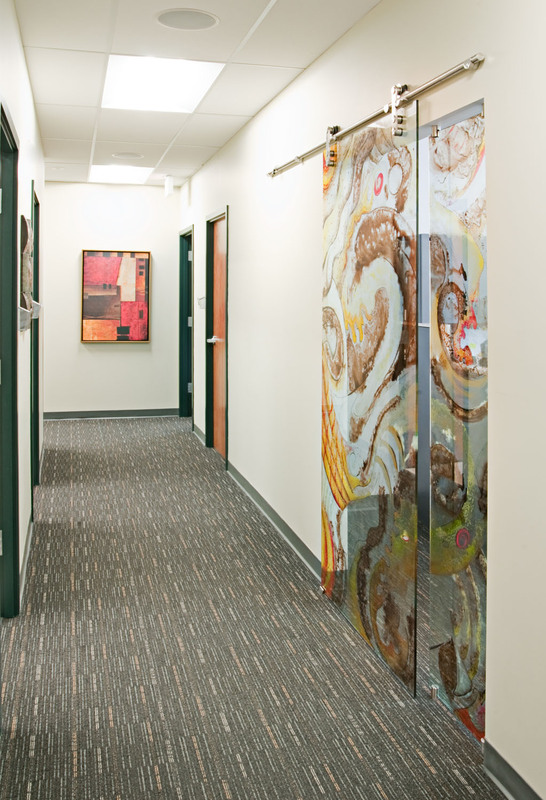 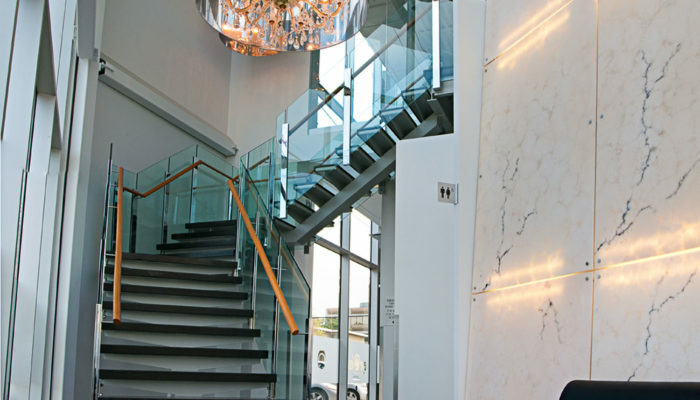 Artistic glass panels in the reception area allow natural light to flow into the inner spaces, while maintaining privacy.